If you are within driving distance to Vancouver, Washington, we would love to have you come to our event happening on December 1st. We are calling it Gifts of Joy! 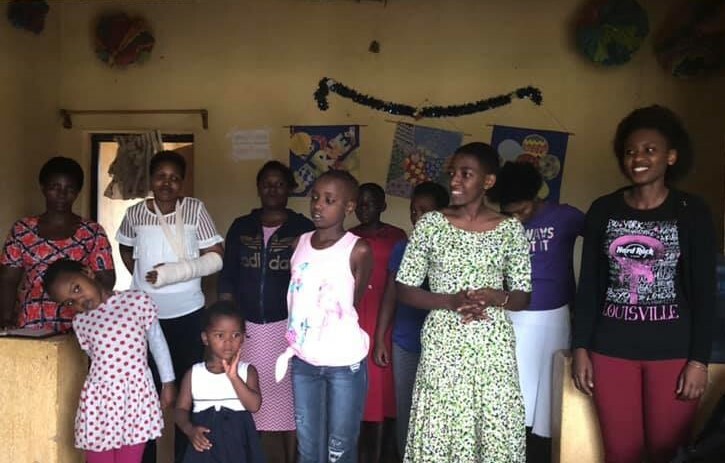 Our Christmas volunteer team will have just returned from Rwanda and will provide us with an update on the work going on there. 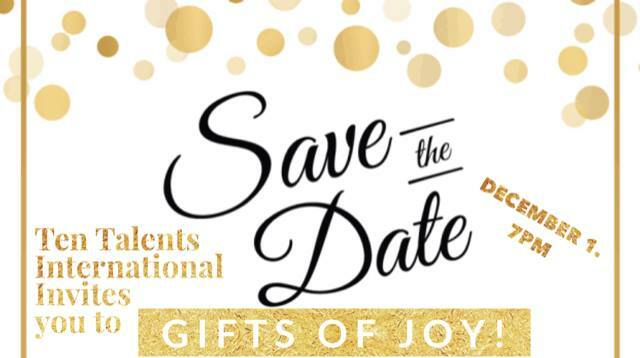 We will also have available our “virtual gift” catalog which will provide you with an opportunity to give life changing gifts in honor of someone in your life, or for yourself. Please visit our event page on Facebook (here) to find out more and to let us know you are coming. 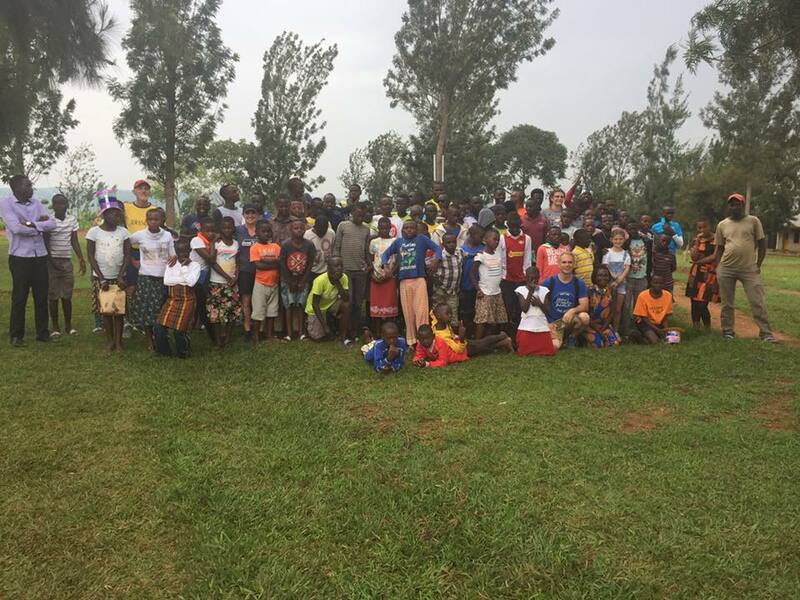 Our annual Christmas party volunteer team is working hard in Rwanda right now. They have actually been working hard for months leading up to this trip: collecting donated supplies and gifts, keeping inventory, making plans and preparations. We are so thankful for all of their hard work which will mean hundreds of children in Rwanda will get an extra special holiday this year. 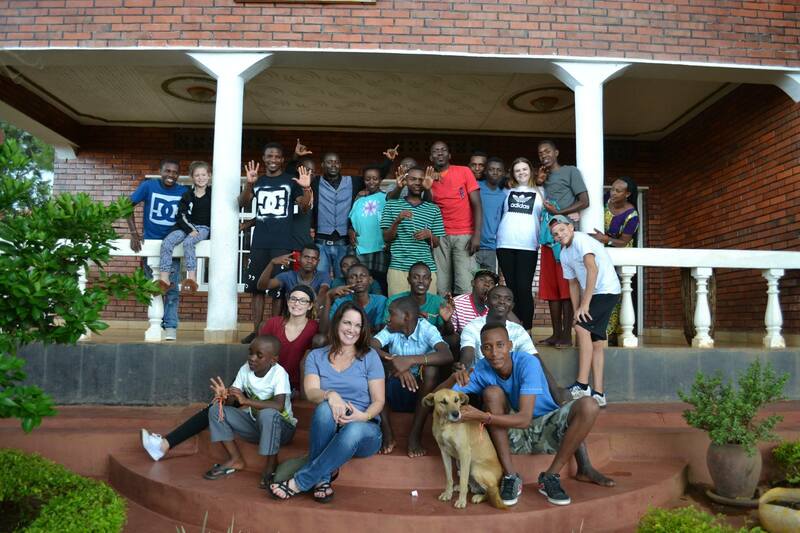 Our team will host parties for all of the children in our sponsorship program, all of the children in both our boy’s and girl’s homes, and will also provide a party for the children of a separate organization that provides a home and education for former street children. In addition to all of this, they have already hosted a conference for the parents of the children in our sponsorship program, and they will also work with our college volunteers and staff as well. All this adds up to a very busy week for them, but one that is full of joy! We are so thankful to be able to provide this for the children and families that we work with, and those who are on the team always report what a gift it is to them to be a part of this. We look forward to hearing more from the team members at our event on December 1st. Young ladies in our Home of Purpose greet the visiting team. If you’ve been on our social media pages (find us on Facebook or Instagram) you will see something we’re calling the Apple Cider Vinegar Challenge. The challenge we have presented is to take a straight shot of apple cider vinegar (1 or 2 tablespoons- -really, it is good for you!). Do it (on video) and donate $10 to Ten Talents International, and tag 10 friends challenging them to do the same. For some people, downing some ACV is not a big deal at all- and for others, well, some people are still trying to work up the nerve to do it all… The question has been posed, why the apple cider vinegar? This challenge was my brainstorm, so I will do my best to answer that. Initially, it was just a random thought. I take ACV sometimes to help ward off getting sick, and when I do I involuntarily make a face and react. I thought it might be fun to challenge other people to do the same, and for them to challenge others, and so on. How does it relate to Rwanda though? When Mike and I first talked about it, we discussed how the color of ACV reminds us of muddy water in Rwanda. This muddy water is what many families have no choice but to use everyday – for cooking, bathing, cleaning, etc. But our ministry is not about clean water, its about getting children off of the streets. 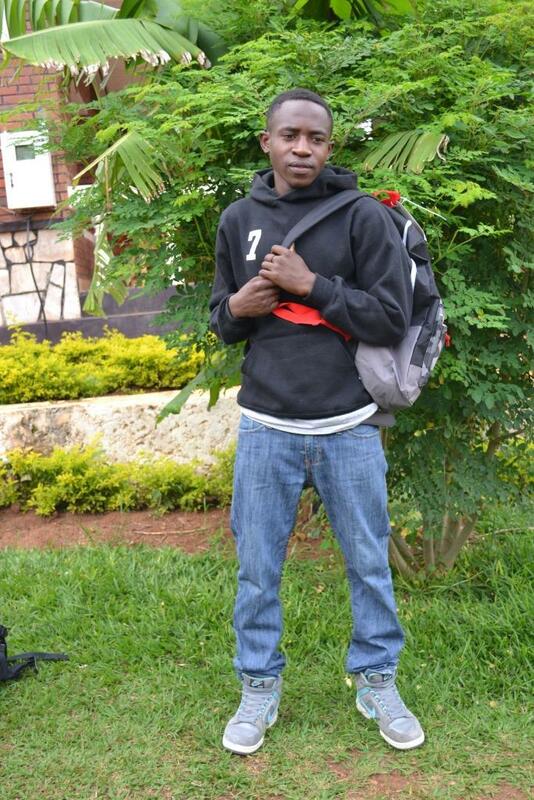 TTI was started because of Mike’s first hand experience seeing children living on the streets in Rwanda. Except where there is a driveway there will be a slab of concrete going over the ditch to connect to the driveway, and it is in those secluded spots where the children will lay down to get some sleep. Unless its raining. Then there will be no sleeping, as the ditches become streams of muddy water. The other connection I noticed between ACV and the children living on the streets is connected to the smell. Children living on the streets have a common drug of choice. It is liquid glue. This powerful chemical glue makes them high when they sniff it (the term for this type of substance abuse by inhaling fumes is called “huffing” in the US). The reason they do it is not just so they can be high and maybe not think so much about their current circumstances, its because when they are high they don’t feel hungry anymore. Many kids living on the streets carry around small bottles of glue under their shirts and keep inhaling it throughout the day. Nothing of what I have described for you so far should be a part of a child’s life. Children should be in a home where they can feel safe, loved, and cared for. They should be able to go to school and not have to work or beg to help provide for the basic needs of their family. I realize that we cannot change the whole world. We cannot make this problem simply go away, but for some children we can. We can change their world. We can offer them a safe place to sleep and adults who will love them and care for them. For those who have families, we can provide school fees, school supplies, medical care, and a daily nourishing meal so they can learn, stay off the streets, and have a better future. This is what the #ACVChallenge is all about. Its about trying to get the word out to more people so that we can do more and help more children and families. Its about changing stories and bringing hope. Please help us spread the word. Day 1: The team hosted a party for Home of Innocence and Home of Purpose. We have some very talented students who honored our team with dances, songs and a poem. The party also included games and giving them their backpacks, shoes, clothes and good food! 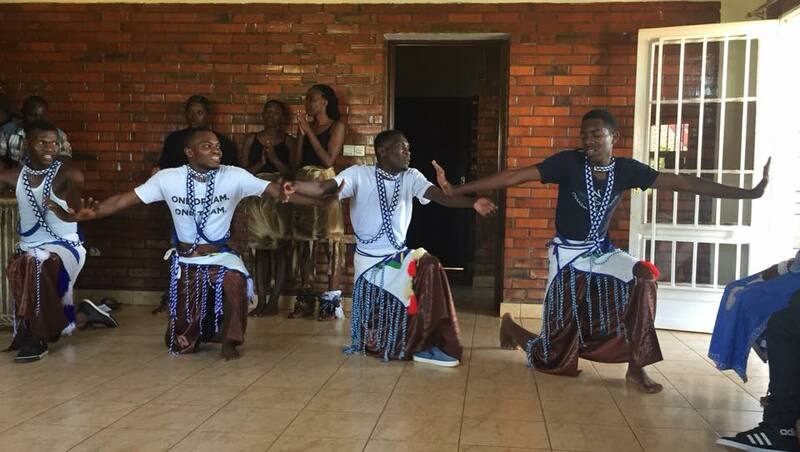 Some of the boys from the Home of Innocence showing their skills in traditional Rwandan dancing. Day 2: Church service in the morning and then time spent with the girls at the Home of Purpose. The girls all shared how they were doing in school, and we are so proud of them. The day also included gifts and a craft project of sponsor thank you notes. 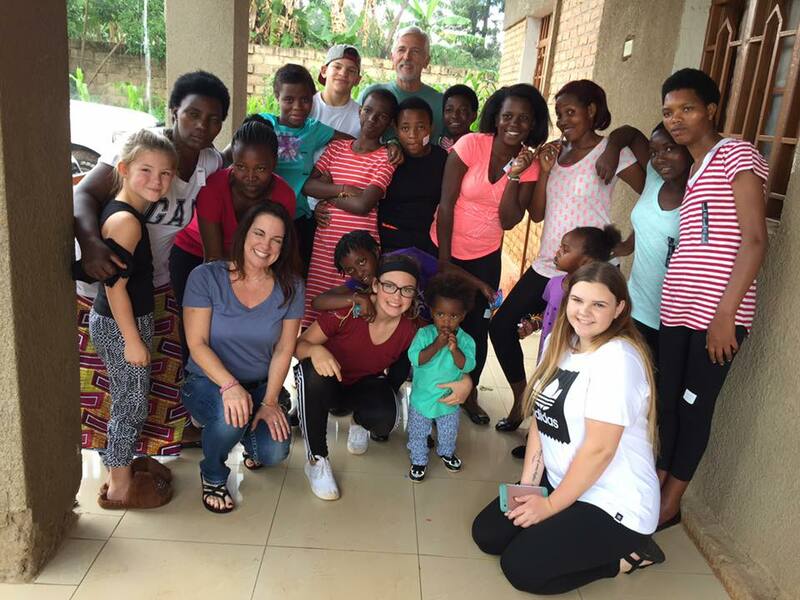 Our team with the beautiful young women of the Home of Purpose. Day 3: We hosted a conference for the parents of the children in the At Risk program. Mike, Jordan and Kelly spoke about the purpose of Ten Talents, what they can and cannot do for the kids and their family. Kelly gave a great talk on parenting, tips on supporting their children and encouraging them to tell and show their children love. Larry and I gave a sponsors prospective on what it means to us hearing from and about our children. We had a Q&A at the end and many parents spoke. Our team member adds: My thought after that continues to be WE NEED MORE SPONSORS!!! My heart aches and I wish I could afford to help them all. At the Q&A it was clear there are many more who want the opportunity to go to school but we currently have a waiting list for children to be added to the program…today it got longer. Mike and his team have done a wonderful thing here but they can’t do it without the support of others. It’s already Christmas in Rwanda! 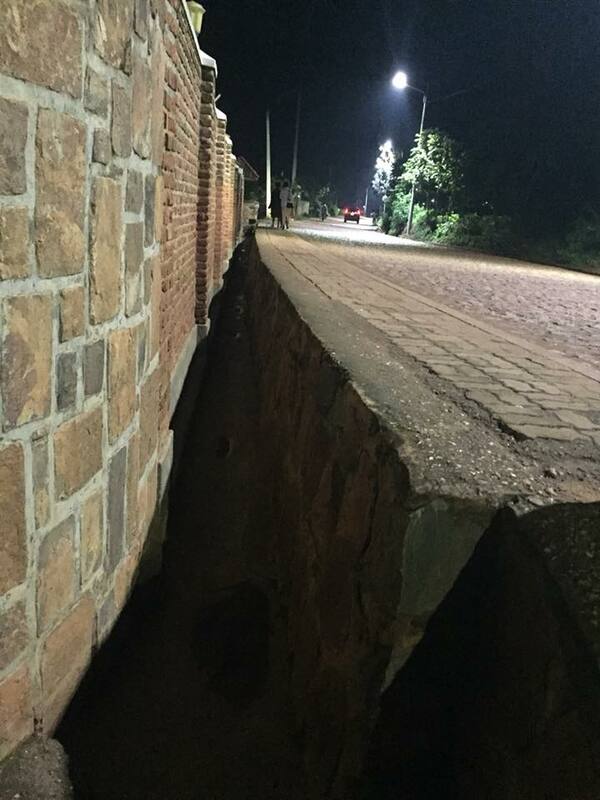 From a Texas team member & return visitor to Rwanda: We arrived in Rwanda last night although our luggage did not. It should be here tonight along with Mike and Kelly McColm. They shut the airplane doors right before Mike and Kelly got to the gate for the flight to Kigali and our luggage missed the flight as our flight to Amsterdam was over two hours late. We actually thought we had missed our flight but I saw a sign that said the gate was closing and we all four ran the length of the gate and made the flight with time to spare. We visited the Home of Purpose and the Home of Innocence today and the kids were all so excited to see us. It was so good to see all of them and get to talk with them and their caretakers. They sang and danced for us and we had so much fun we all joined in the dancing. It was such a blessing to see Flamine, Jane, Frank, Alex and all of the kids. They have all grown up so much over the past seven years and they all looked so good. 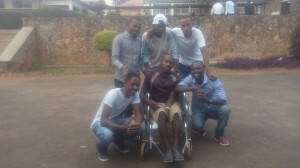 Thanks so much to their sponsors and the caretakers in Rwanda, they do such an outstanding job. It was also exciting to meet Maggie and Emily, our two new mission trip members. Maggie went to Rwanda last year and had visited HOP and HOI before. The parties for the HOP and HOI are tomorrow so we have a lot of work tonight and tomorrow morning. We should be picking up about 17 pieces of luggage at the airport along with Mike and Kelly. 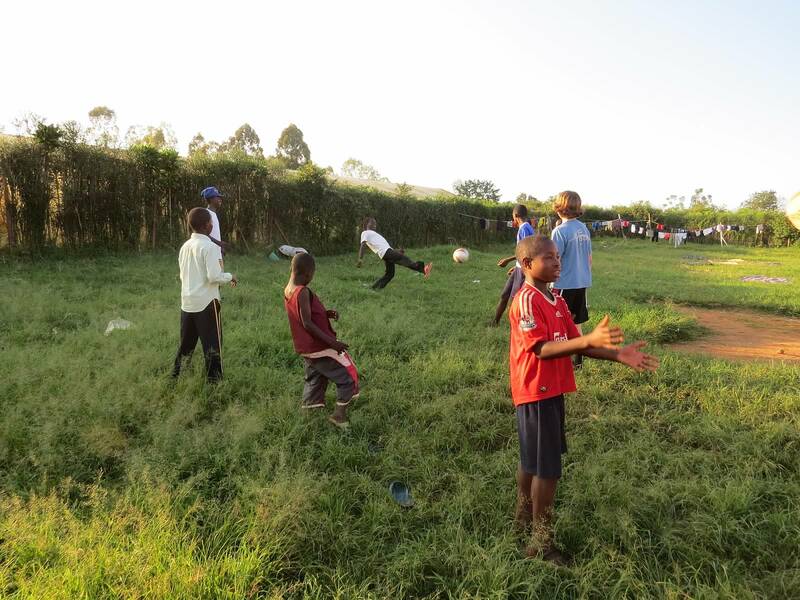 From a Portland team member and return visitor to Rwanda: It’s been an amazing day. We went to Ten Talents Home of Purpose and Home of Innocence. There is such an overwhelming feeling of love seeing these beautiful people again. Their gift of thanks by singing and dancing made me smile, clap and yes, we got up and danced too. Sponsors out there, you make a difference and we saw it first hand. They were so proud to tell us of their advancements in school, how happy they are and that TTI has made a difference in their lives. It’s a beautiful day! 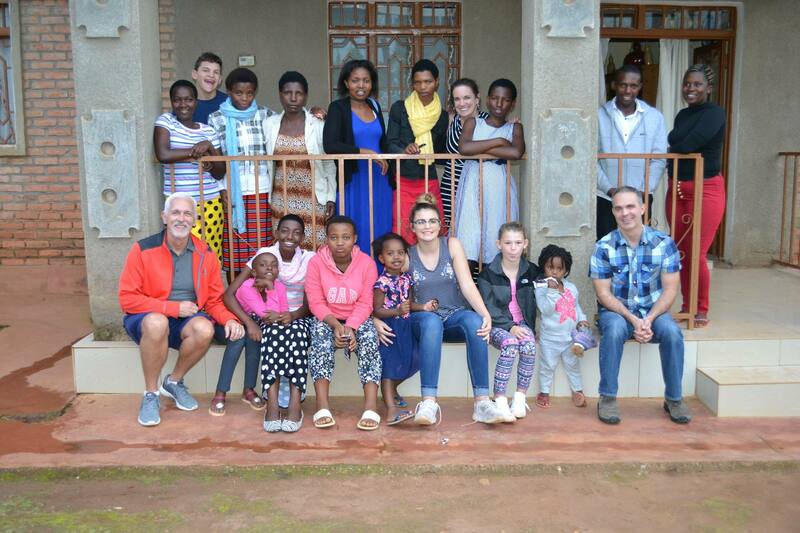 We are busy preparing to send our annual mission team to Rwanda over Thanksgiving week. As many of you know, during this time we put on Christmas parties for all the children and young adults in our various sponsorship programs. This is an exciting celebration that all the students, and adults, really look forward to each year. In addition to a nice meal, games, and fellowship, each student receives a brand new backpack filled with a set of new clothes, shoes, school supplies, and any other goodies their sponsors send. 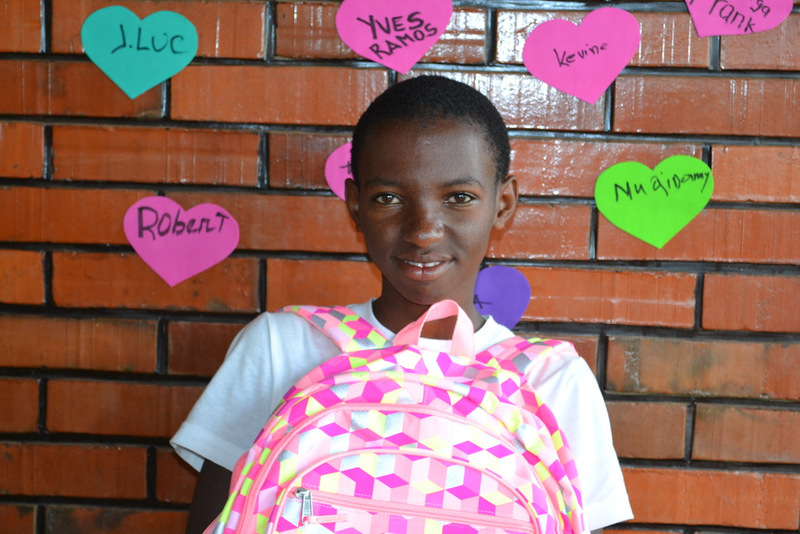 Our consistent backpack donor was unable to supply Ten Talents with new backpacks this year. So we are reaching out to see if you might be interested in purchasing a backpack for a student(s). We need at least 100 back packs with about 9 small back packs (ages 7 – 10), 26 medium back packs (ages 11 – 14) and about 65 large back packs (ages 15+). 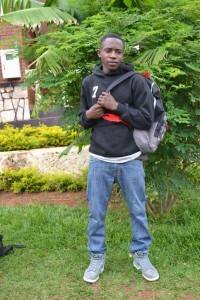 Back packs should be of good to excellent quality and NEW due to where and how they will be used. If you are interested in helping out in this way, you can mail the new backpacks to the Ten Talents address below. We also want to encourage all sponsors to write a special letter/note to your sponsored student this holiday season. They really love hearing from you! It has not even been a month since I last posted about Cyprian and his stroke, and God has done amazing things already! 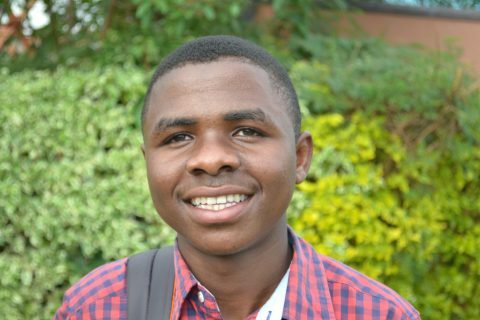 Cyprian has been making steady progress. He is now able to walk on his own, but still has some issues with the right side of his body. He can speak, but it is in low tones and not all sounds come out. Still, this is such a dramatic turn for the better! 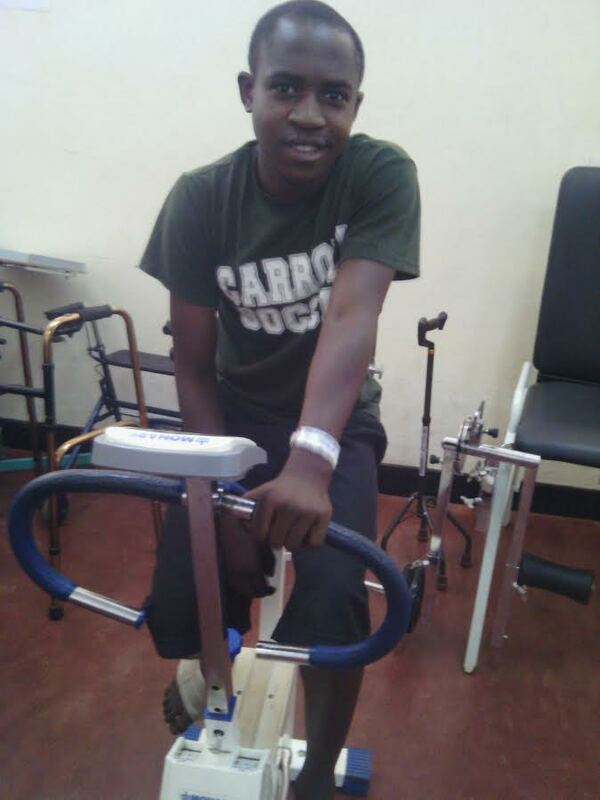 Cyprian will need to continue to be treated by physical therapists and speech therapists to help him in his recovery. If you are able to give towards the extra costs of Cyprian’s medical expenses, please do so on our giving page. 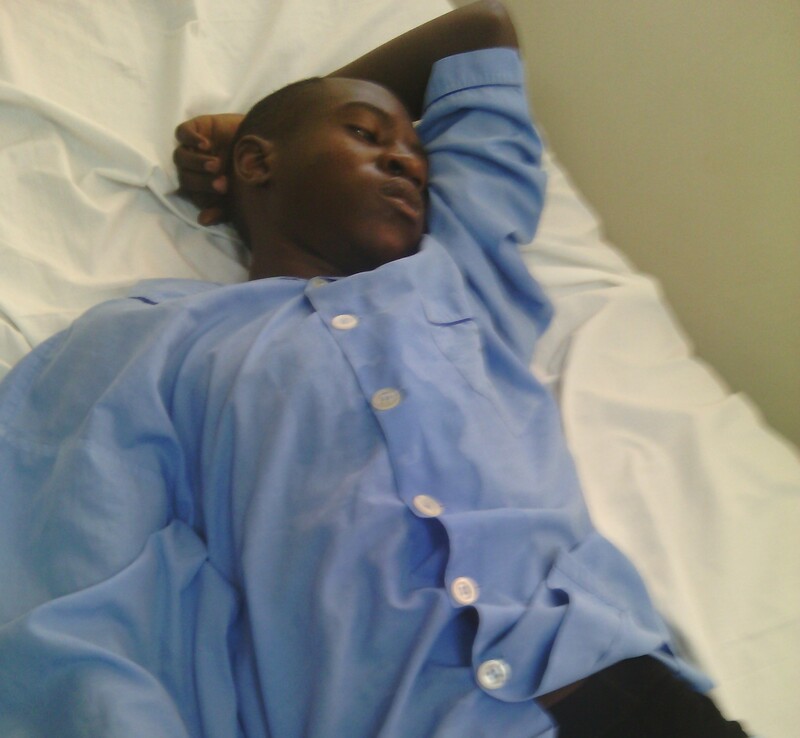 Thank you for praying with us and thank you God for providing for Cyprian’s every need!